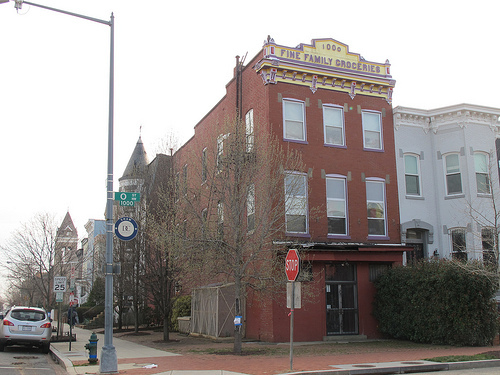 We’ve looked at this classic house/building in Shaw before but a reader sent it in and my philosophy is that if someone sends it in then a lot of others probably haven’t seen/noticed this supercool building either. 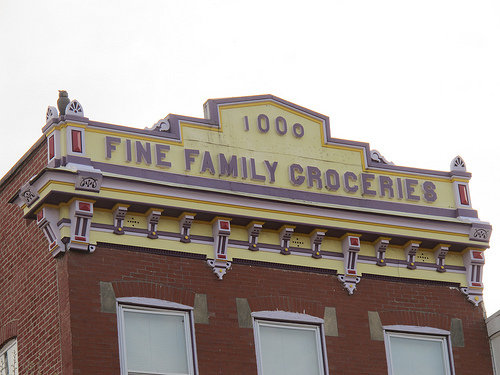 The funny thing is that I think I, also, walked past this building a dozen times before I looked up and realized the cool “Fine Family Groceries” sign was up top. The 5pm Post – DC Rollergirls’ Double Header THIS SUNDAY!